I needed a quick and easy way to make a vase for flowers I was about to give as a gift. 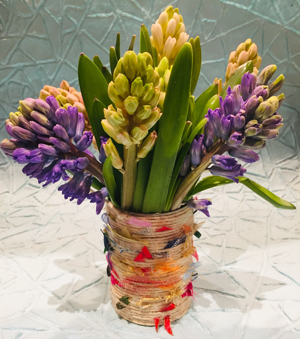 As you can see, twine and scraps of ribbon were all that I needed to transform a tin can into a very colourful vase. Get in touch if you’d like me to transform some of your unwanted items into treasure.